What inspired you to launch Grain Culture, and when did it first launch? 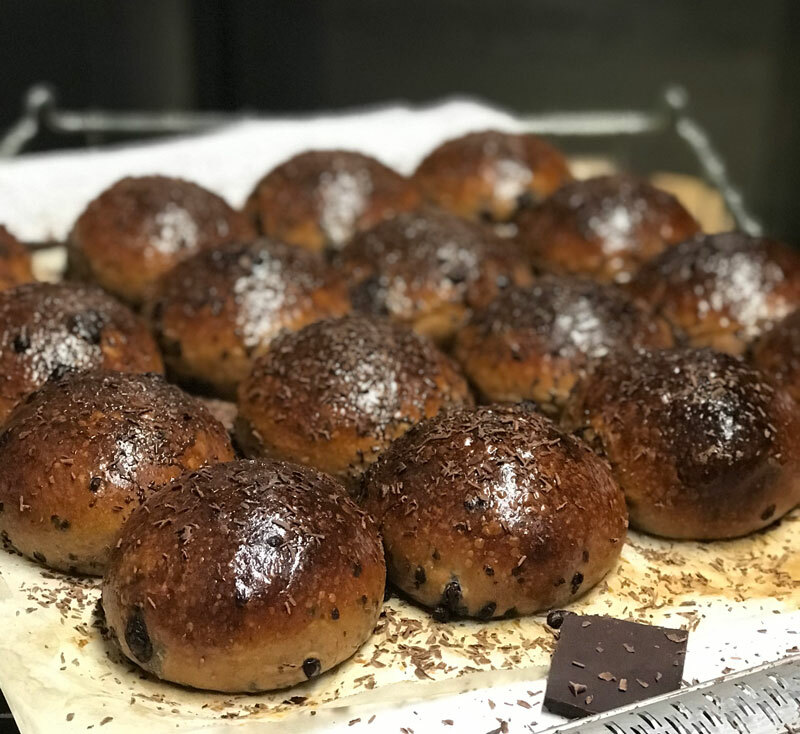 Since starting my career about 15 years ago, training up in Michelin starred kitchens in northern Italy, I was always keen to jump on the pastry section, as long as there was bread to do. When I started running my own kitchens I always made time for bread and eventually I got to know it and understand the process. It’s an amazing thing, three ingredients, that’s it! But the variables are pretty much infinite, it’s a daily challenge and I’m totally hooked! I was so bored with kitchens and the whole hierarchy and system. I was really uncomfortable with the direction that the mainstream fine dining British food scene was going, I started to question my direction and knew I had to quit. Making bread was the answer to that question. So, after a couple of years of preparation, I launched Grain Culture in November 2018. Tell us a bit about the ethos of Grain Culture. Making sense, no shortcuts, only organic and ethically sourced ingredients. It’s about bringing good bread back and giving it the place it deserves. For example, too many times I found myself disappointed in restaurants and cafes where the food is absolutely fantastic and the whole meal is let down by below average bread. Where do you take your inspiration from for recipe development? I take it pretty much from everywhere I go and everything I do. As I mentioned earlier I’m pretty obsessed: I collect books, I regularly visit bakeries, I develop new stuff every day. I’m quite lucky having my culinary background, as now that I’m only focusing on bread I can channel all those skills in just one specific field. All the various experiences I’ve had in my career are now modeling the way I develop my formulas and identify what I do. What has been your biggest success since launching Grain Culture? A bit like most new businesses, when I started I had a vague idea of how I wanted to grow the business. I gave myself quite a long time frame to reach my goal but three months in and everything developed a lot quicker than I expected. I’ve outgrown my first kitchen and I’m now in the process of moving into a large commercial unit. I’m supplying some awesome restaurants and cafes in and around Cambridge and Ely. It feels so great to receive so much support by really well established and well-respected business. Also, I’ve found Ely farmer’s market incredibly welcoming. Such an honour to provide my local community with bread and see them coming back every time for more. I honestly can’t keep up with their demand, as the market it’s only every two weeks people have now started to stock up their freezers. It’s so nice to have a chat and get to know people, it feels like we are putting bread back at the centre of the community like it used to be. What are your long terms goals for the business? Once in the new unit, I would like to upscale my production a bit more, and I’ll possibly be looking into employing some staff. This will be quite a big challenge: the key will be to upscale without compromising quality and losing focus on the Grain Culture ethos. I would also really like to retail more in Ely and Cambridge to make my bread available for the community more regularly. As far as long term goals go, I’ve have no idea! I learnt the hard way that the best way to grow something is by not being too fixed in your ideas and plans, and not trying to control things too much. In the first few months of Grain Culture, things just fell into place. Everything is very harmonious and the path things are taking just makes sense, this makes me comfortable and happy. How can people get their hands on your delicious bread? I trade every 2nd and 4th Saturday of the month at Ely Farmer’s Market and I supply the deli at Provenance Kitchen every Tuesday and Friday. At the moment I’m pretty obsessed with the Kefir/Rye/Seeds, it’s the one I get to eat at home too, whilst my kids devour everything else! Also, the naturally leavened Grenada chocolate brioche. It’s a bit too good and I struggle to not eat one when they come out of the oven! 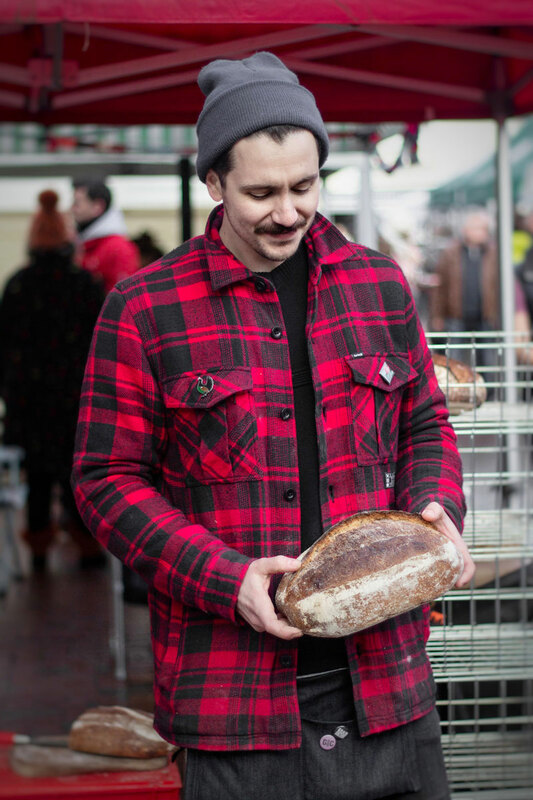 You can follow Luca and see all of Grain Culture’s delicious bread on Instagram @grainculturehq.